We have a lot of exciting things going on through Extreme Community Makeover right now – the start of a great season of volunteer projects, the launch of a new social enterprise, and plenty of opportunities to connect with the work we’re doing in Denver neighborhoods. I hope you can join us in some way as we make an impact “one block at a time”! 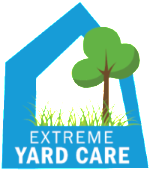 Thank you to everyone who participated in our crowdfunding campaign for Extreme Yard Care! We reached 80% of our goal! If you would still like to make a donation this week, you can do that here, so we can get a closer to 100%. Just let us know you want to apply it to Extreme Yard Care. Our website is live! Check it out here. We should be ready to start by next week! Thank you for your support to help us get to where we are in making Extreme Yard Care a reality! 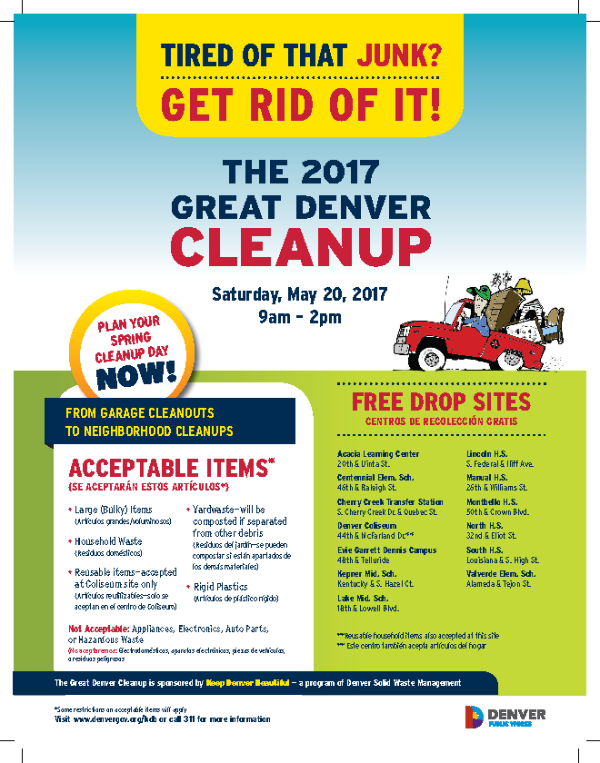 If you live in Denver and ready to do some spring cleaning, check out the Great Denver Clean-Up on Saturday, May 20. This event is the annual citywide cleanup day when Denver residents can clean up and clear out around the house, in the yard or around the neighborhood â€” then haul the discarded items to a free drop site. There are 13 locations around Denver. Learn more here. 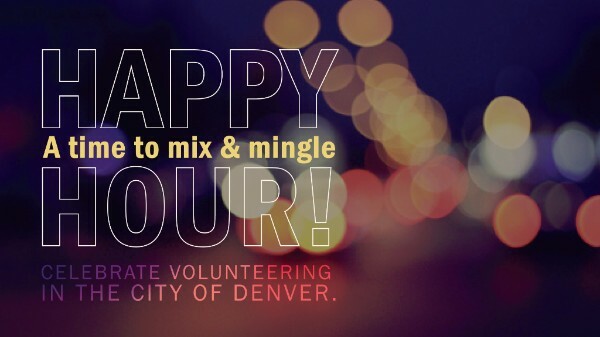 Our next Volunteer Happy Hour will be on Tuesday, May 23 from 5:30-7:00 pm at Seedstock Brewery (3610 West Colfax Avenue, Denver, 80204). Learn more about how you can volunteer with Extreme Community Makeover this summer! We recently launched our Instagram account. Follow Extreme Community Makeover and share your favorite photos using #ECMDenver. If you do that, you might see your photo show up on our Instagram feed! Thank you to the 650 volunteers that got involved in ECM last month!